David Livingstone, Hudson Taylor, Amy Carmichael, and Gladys Aylward-all famous missionaries who enlisted in foreign missionary service, traveled to exotic locations, endured hardships that tested their faith, and reaped eternal harvests for God’s kingdom. Who wouldn’t want to be a missionary like that? But most of us feel less than qualified, just ordinary people with no special talents or abilities to offer. Miriam Abbott and Jane Burns felt the same way. They wanted to serve God but never imagined that He would choose them to bring His written Word-for the first time ever-to an entire tribe of people. Watch as God enables Miriam and Jane to reach the Macushi people through medical evangelism, literacy, translation, radio broadcasts, education, and more. Be edified by their persistence, encouraged by their response to trials, blessed by their humility and faithfulness, and overwhelmed by God’s goodness. 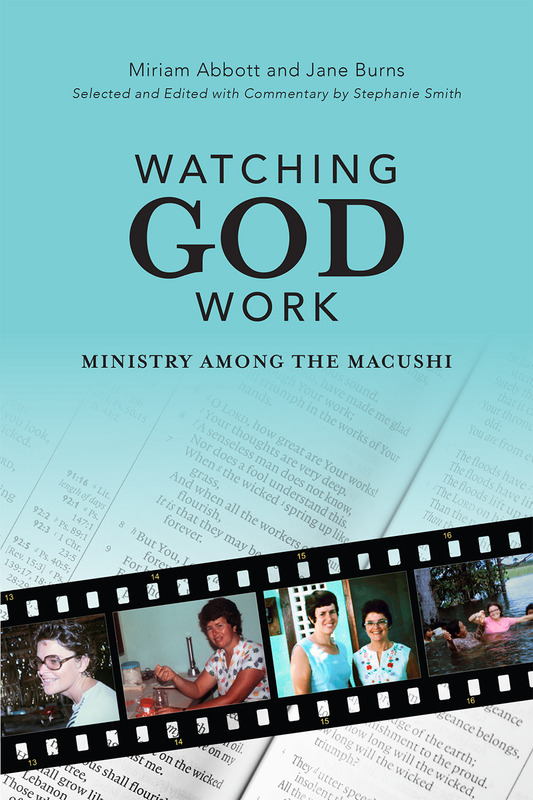 Above all, “Watching God Work: Ministry among the Macushi” will challenge you to dedicate your life in service and submission to God. How will God work through you?